Hospital Records – Welcome to Hospital Records: Kings Of The Rollers! The exceptional rise of the Kings Of The Rollers collective is nothing short of remarkable. As solo artists they’ve released music across some of the scene’s biggest labels including Hospital Records, 31, V, Metalheadz, Ram, Low Down Deep and Reinforced. Their pedigree is clear and the quality even more so. The unmistakeable sound of their debut single ‘Burnt Ends’ kickstarted their year on Hospital Records. This Beatport D+B chart-topper had heads turning with support streaming in from BBC Radio 1 Residents Metrik and Rene LaVice, and bonified drum & bass legends Doc Scott, Randall, Friction, Nicky Blackmarket, London Elektricity and more. 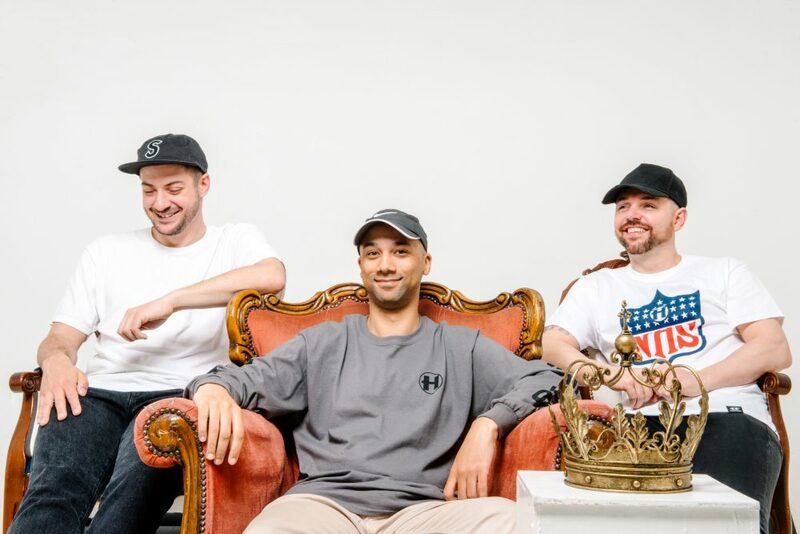 Their notoriety and prestige has been earnt behind the decks having played to crowds of tens of thousands at Glastonbury, Rampage, Boomtown Fair and now hosting their very own party at Sunbeatz Ibiza this summer. Face-melting dubplates (and cricket bats) are met by in depth 360’ D+B history lessons, regularly hosted by fellow Hospital hype-man Inja and Bristol bad-boy MC Carasel. The full-throttle and electrifying showcase has set the bar high and showing young guns , and old dogs alike, how it should be done. It is now, with incomprehensible excitement, that we can declare the Kings Of The Rollers have found a new kingdom to call their own as they sign exclusively to Hospital Records. The best is still yet to come for this trio. We hope you’ve got shin pads. Whack, whack!